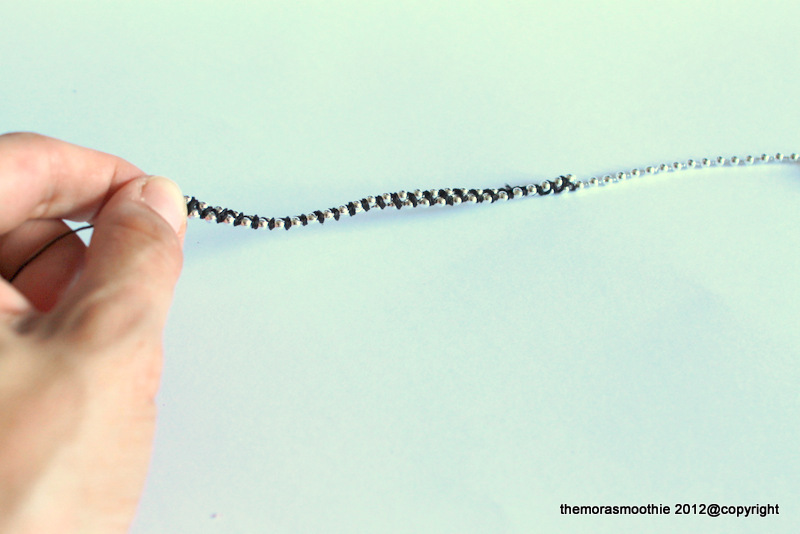 The Mora Smoothie fashion blog, DIY fashion by Paola Buonacara: My DIY black necklace ! 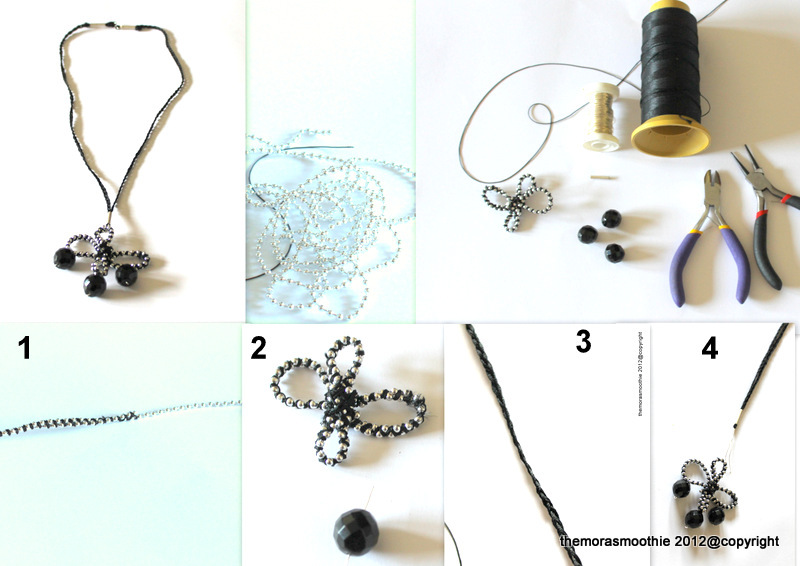 Hello my dears, today a new diy, a black necklace with pendant. I got cotton in black silk, thread of silver balls around which I twisted the black thread, then I created this flower blocking all with the thread. 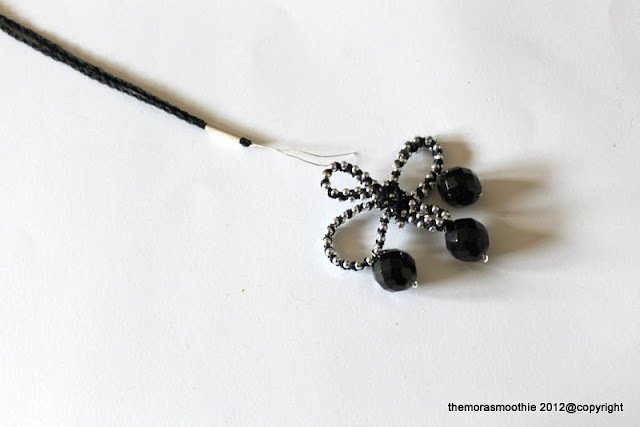 Again I applied with the silver thread the three black pearls, then with the black thread I created a braid, I inserted the silver stick and I have applied the pendant and closure. 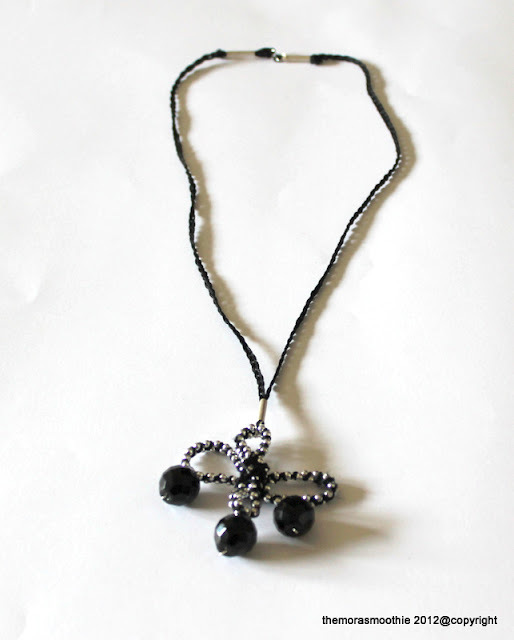 What do you think about? 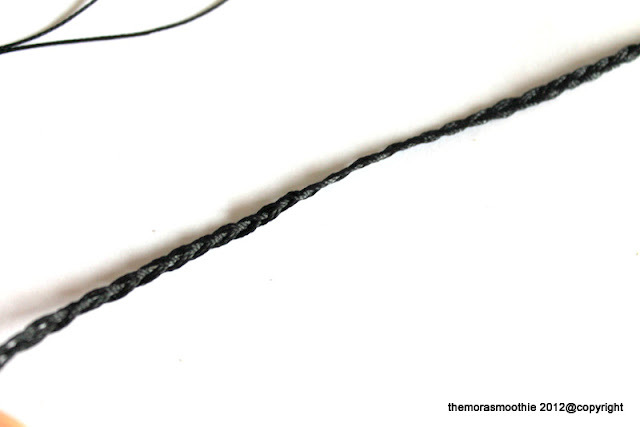 Ciao miei cari, oggi un nuovo diy, una collana nera con ciondolo. ho preso del cotone in seta nera, del filo a palline argento intorno al quale ho attorcigliato il filo nero, poi ho creato questo fiore bloccando il tutto con il filo. 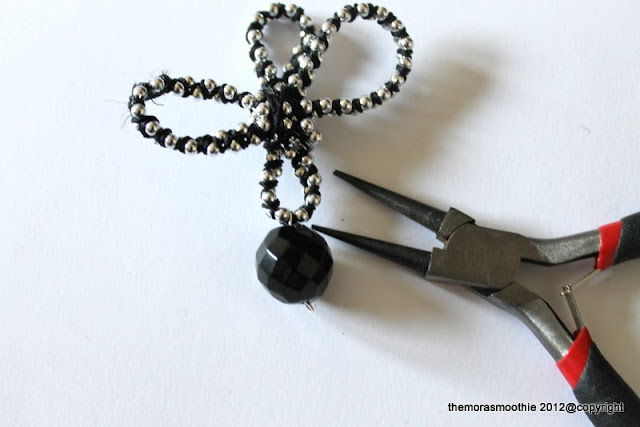 Dopo ho applicato con il filo argento le tre perle nere, poi con il filo nero ho creato una treccia, ho inserito il bastoncino argento e vi ho applicato il ciondolo e la chiusura. Che ne dite?